I don't see why the Confederate Flag is any worse than the Union Flag. The Union Flag is the Flag of Industrialization and Fascism. It symbolizes when the Oligarchy took full control of the FSoA Goobermint. They fought the bloodiest war in Amerikan history to achieve that goal. Well, they didn't fight it, but they did run the show and profit from it. What's next? Will they take all the Dukes of Hazzard episodes off You Tube? 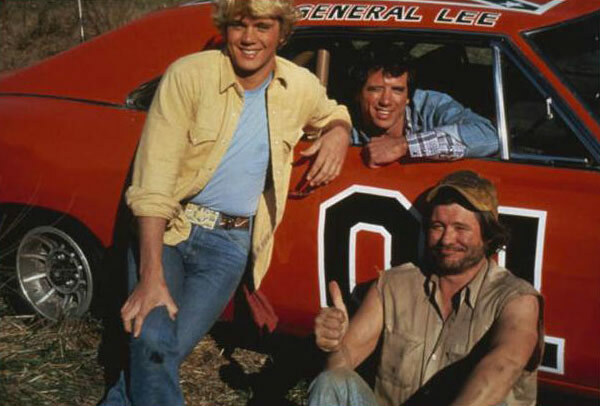 Iconic Dukes of Hazzard Car 'General Lee' Stripped Of Confederate Flag: "This Is A New Level Of P.C. Idiocy"
They’ve been pushing for it for over 150 years and this year the politically correct anti-Confederate flag movement may have finally achieved its ultimate goal. Following a racially driven shooting spree that left nine people dead at a church in Charleston, the governor of South Carolina is pushing legislation to have the flag removed at any government buildings where it currently flies. In Alabama, the governor has ordered Confederate flag “paraphernalia” removed from the Confederate Memorial Monument. Major retailers like Amazon, Ebay, and Walmart immediately jumped on board and have now removed confederate flags from their listings. Paul Joseph Watson highlights the sheer ridiculousness of the move, noting that while Amazon has removed memorabilia featuring the flag of the Confederacy, they continue to allow the sale of items featuring Nazi emblems and Swastikas. But the idiocy, based on absolutely no logical reasoning except that this is the perfect crisis to not let go to waste, doesn’t stop there. Warner Bros. has announced that it has halted production of toys and replicas of the iconic Dukes of Hazzard sports car known as the General Lee. Dukes of Hazzard, a staple TV show of the early 1980’s, featured what may possibly be the most popular and most recognizable car in American history. As of today, that car will no longer feature the confederate flag on its roof. The Confederate flag may or may not be removed from government buildings in South Carolina, but the relic is definitely being removed from at least one southern icon. Warner Bros. today announced that it was halting production of toys and replicas of the General Lee, the car from the Dukes of Hazzard, which famously bore the flag on its roof. 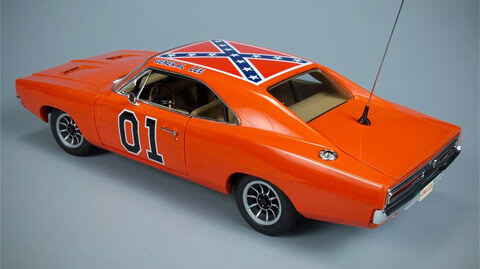 As recently as 2012 Warner Bros. quashed rumors that it was planning to remove the Confederate flag from toy versions of the General Lee. “We were not and are not planning to change design of the General Lee on merchandise,” the company said at the time, after a Tomy sales representative reportedly indicated production would cease in 2013. This is a new level of ‘P.C.’ idiocy. I don’t know about you, but I am tired of being insulted by morons. We’re sure that the next crisis will lead to the complete removal of any references to the South’s involvement in the Civil War, including the removal of the very name of the vehicle, The General Lee, named after the man who led the South’s armies against the north. and, since the iconic car may now openly identify as being more feminine than masculine, The General Pelosi has kind of a ring to it. I split off the Confederate Flag controversy to its own thread on the Knarf's Knewz forum. I also made Knarf Moderator of this forum so he can do this himself with popular threads that pop up in the main Knarf's Knews Channel. I was thinking about the dukes of hazzard car and its flag the other day reading all this flag controversy, but didnt think anyone would go that far. But if u want shamefully stupid its hard to beat cutting down trees and burning them to meet targets for renewable energy, now with bipartisan backing. 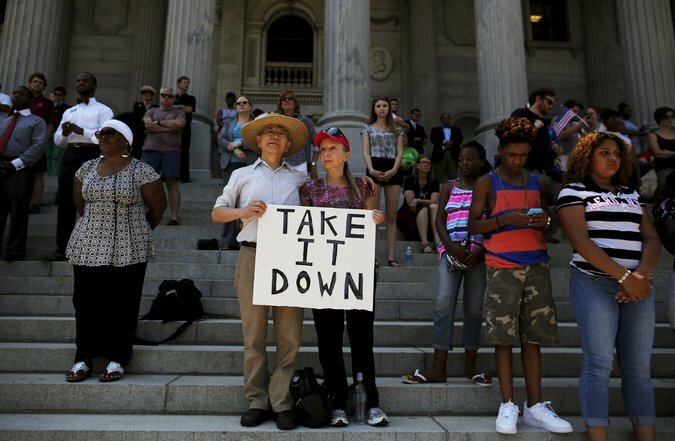 Will banishing the Confederate flag actually increase its power? It might have started out to be about slavery (which I agree was abhorrent) , but the real downside of the war was that it turned a loose conglomeration of semi-autonomous states into a country with the kind of repressive top-down centralized government we have now, which, in my book, is a crying shame. I wonder if the average African American would think differently? Although nowadays it might not even be relevant, they could just proclaim themselves white? I know damn good and well the average African-American feels differently, as do most of the average liberal-minded Caucasian folks in the country, including a few who post here. That's fine. It doesn't erase any facts, however. My intention in posting what I post, and in stating my own opinions here is not to foment arguments or to shout down anyone else's POV. I just believe that the prevailing narratives we have about the Civil War, Abraham Lincoln, and the effects of the Civil War, are largely a fairy tale. Something akin to George Washington and the cherry tree. A nice story with a good moral that happens to just not be true. IMHO, this is media fueled distraction. The Confederate Flag has been floating around down in Dixie basically continuously since the Civil War, and it's sure not the cause of racism, nor will removing it anywhere remove racism from those places. If anything what this will do is make the Flag MORE popular amongst the Crackers, and if Walmart won't sell them, then a whole Cottage industry will develop with Billy Jo and Bobby Sue sewing them up on the Singer. I Guarantee you, there will be an explosion of Southern Belles wearing Confederate Flag Halter Tops and Bikinis this summer on the beaches of South Carolina. Of course, everybody needs a Flag to rally around, so we should design Flags for the Diner and for SUN. I'm gonna work on that now. Preliminary Design for the SUN Flag.